Combine ingredients in bowl and stir. Spoon into jar, cover and voila! Pour sugar into bowl, gradually mixing in coconut oil until slightly damp with a consistent grainy quality. Add essential oil and transfer to lidded jar. In a small saucepan over low heat, slowly melt the coconut oil, Shea butter and beeswax, stirring until liquefied. Remove from heat. Stir in essential oils and pour mixture into silicone molds. Set aside to cool. Remove the bars from the mold and store in a cool, dry place. To use, rub over skin as you would a lotion. In a small saucepan over low heat, combine the Shea butter and coconut oil, stirring until just melted. Remove from heat and transfer to bowl. Stir in jojoba or sweet almond oil and essential oils. Place bowl in refrigerator and let mixture chill until solid. Once solid, whip using beater or mixer. Spoon into jar, cover and store in a cool, dry place. Combine oils (except essential) in a small saucepan over medium heat until warm - about five minutes. Remove from heat and stir in grated beeswax, until completely melted. Refrigerate for 10 minutes, then mix in essential oil. Pour cream into jar and let cool completely. Melt the beeswax, Shea butter/cocoa and coconut oil in a glass jar without a lid in a small pot of simmering water. Pour into container, let cool and enjoy. 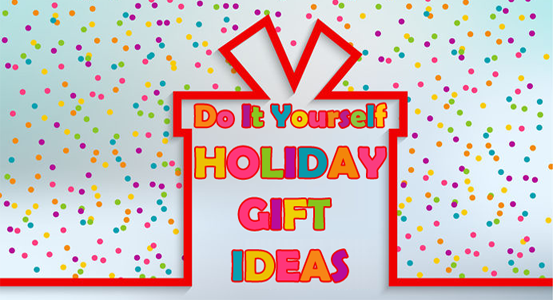 DIY holiday gifts are easy on your wallet and busy holiday schedule. Share the gift of wellness this season. And don’t forget to make a little extra for yourself.